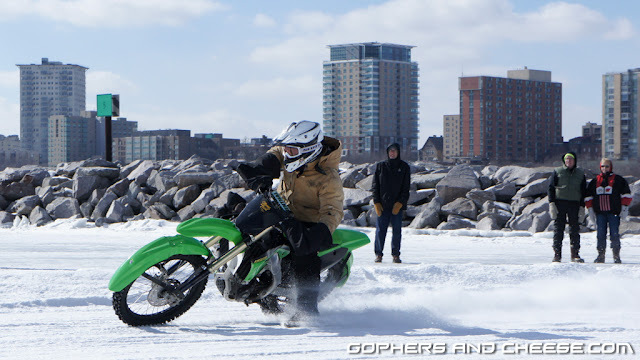 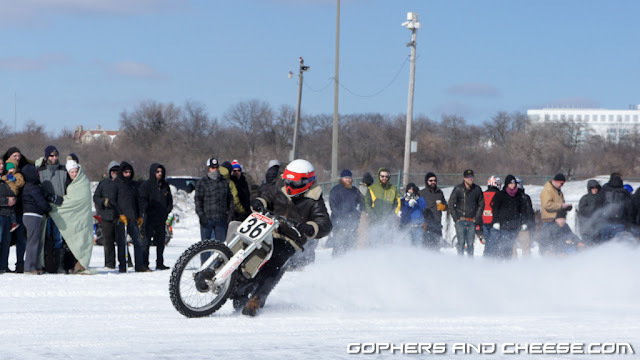 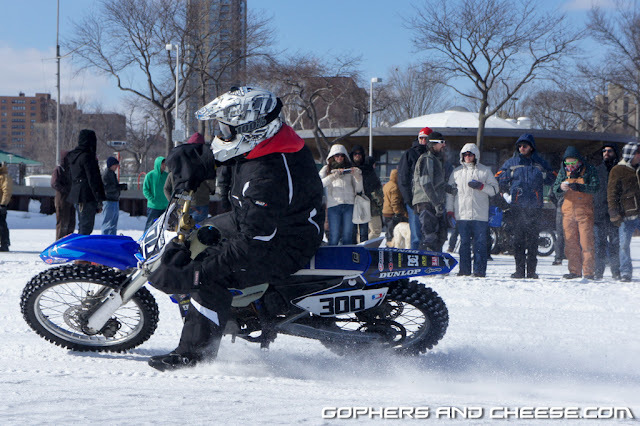 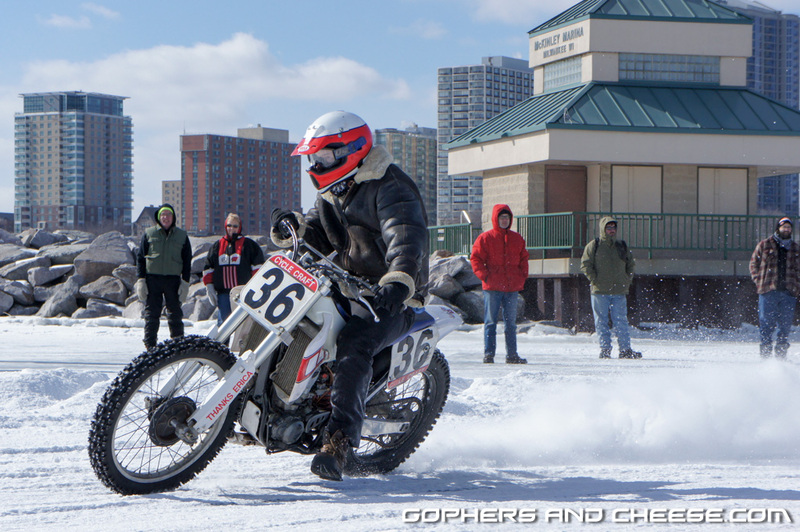 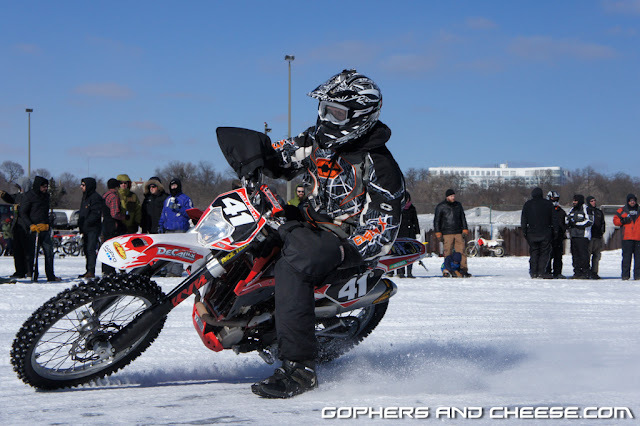 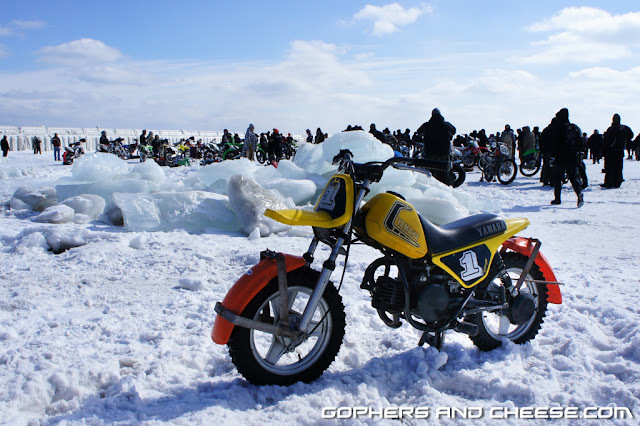 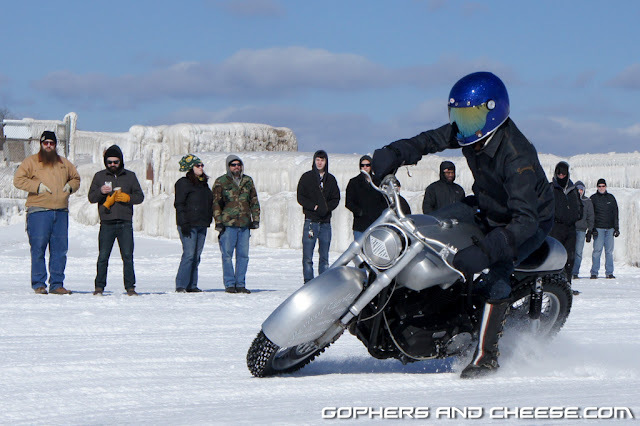 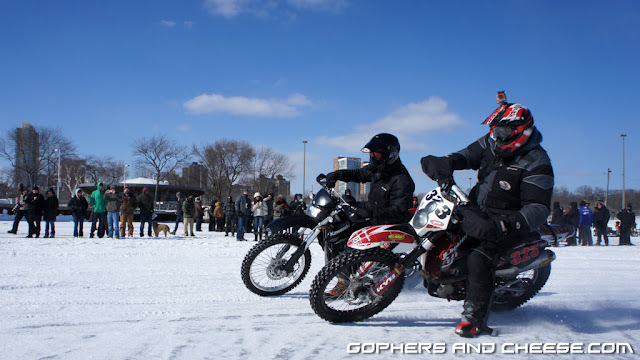 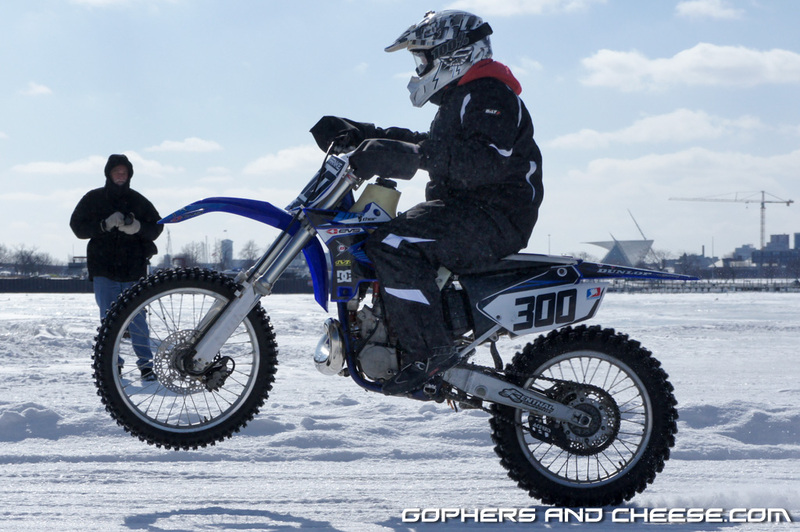 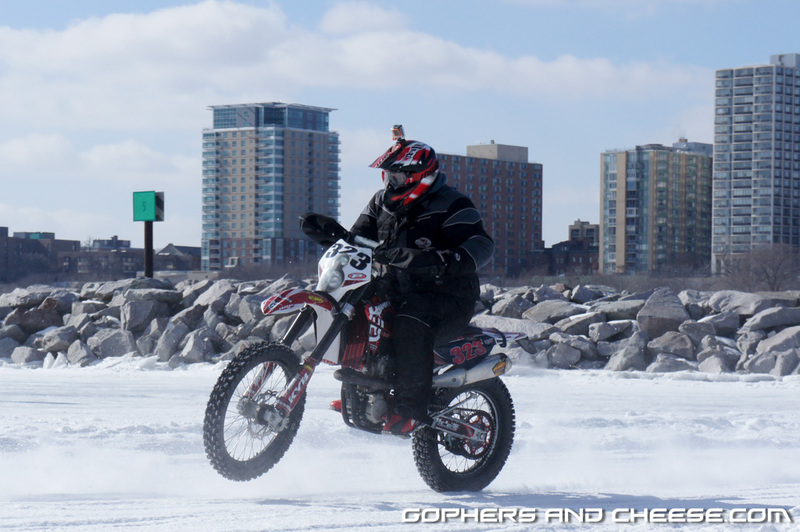 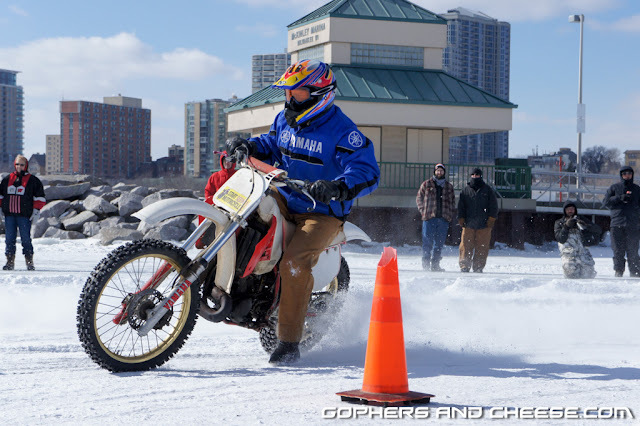 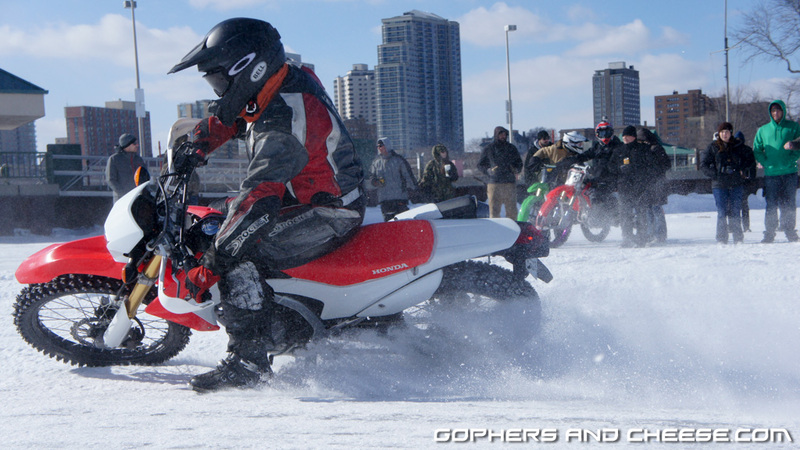 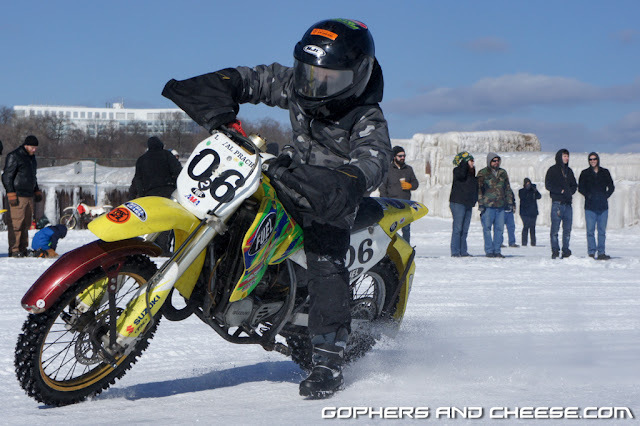 To wrap up the ice riding event at Mama Tried 2015, here are few last photos from the day. 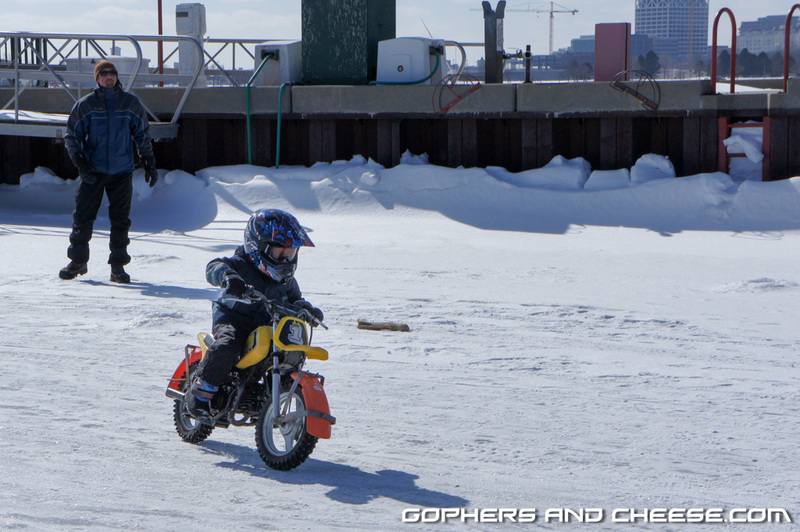 It was fun to watch this kid on mini bike take to the ice. 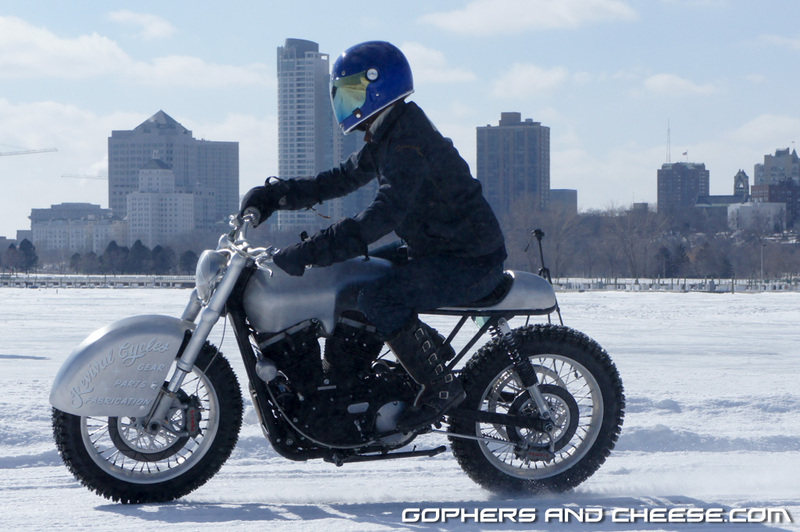 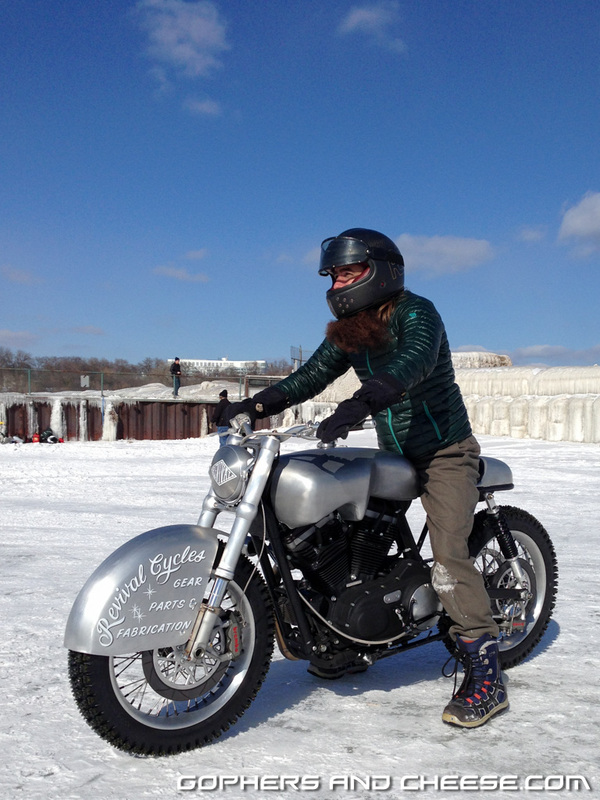 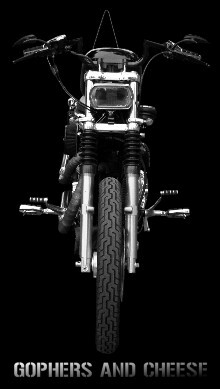 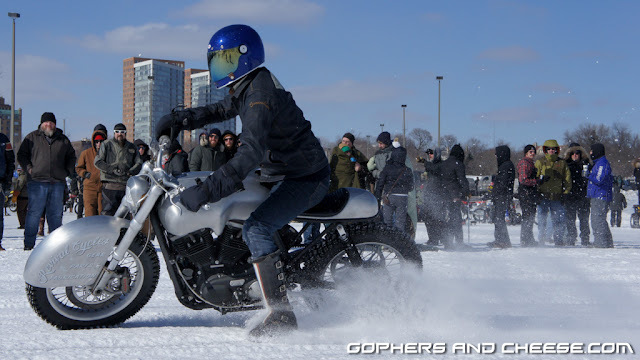 The ice Sportster (aka the "Hardley") from Revival Cycles was awesome. 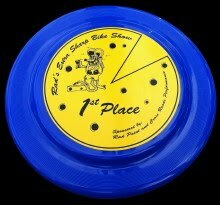 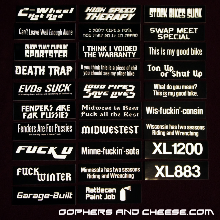 It was great to see Sportsters represented. 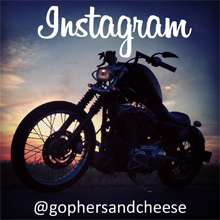 When I posted this photo to Instagram, Harley-Davidson re-posted it (click here) and it went on to get nearly 10,000 likes so I was super Internet-famous for a few minutes that day. 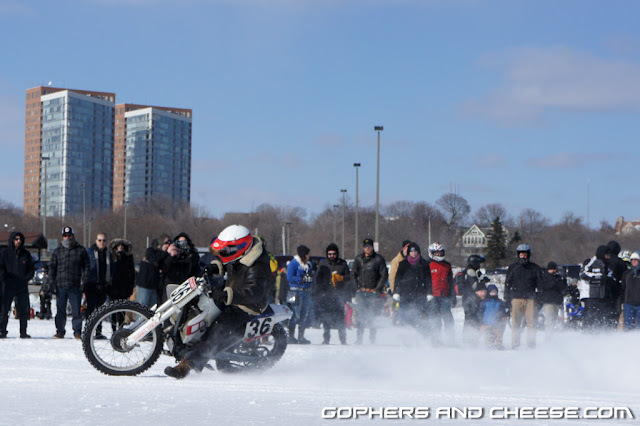 I got some of my best photos of the day when I bravely/stupidly headed into the center of the track. Here are some photos of the Hardley. 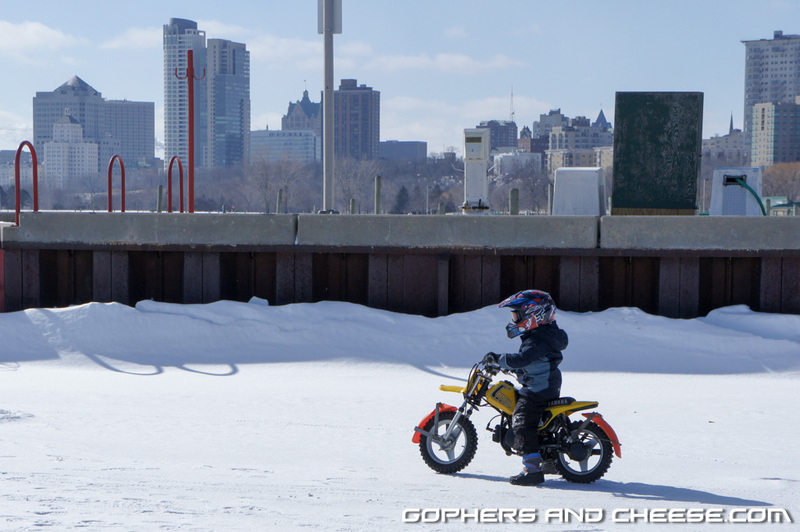 After sharing over 500 photos across 20 blogposts, I think you get a good sense of what Mama Tried is all about. 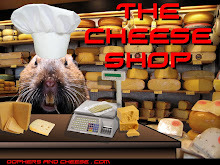 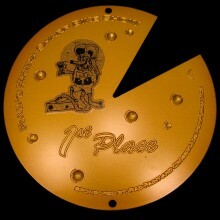 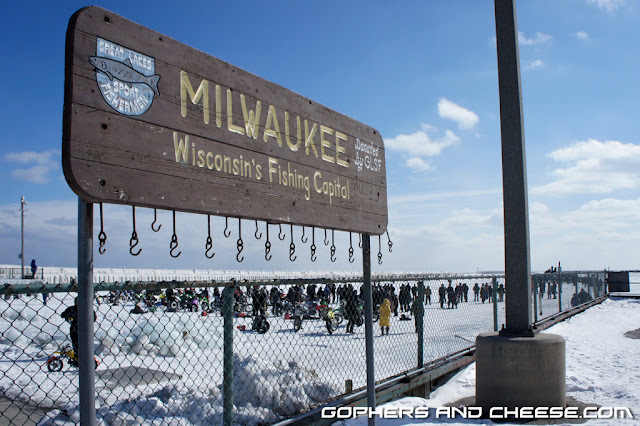 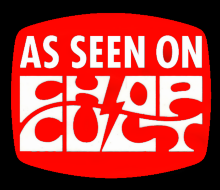 That is why you should absolutely be there later this month (2/19-2/21) in Milwaukee. 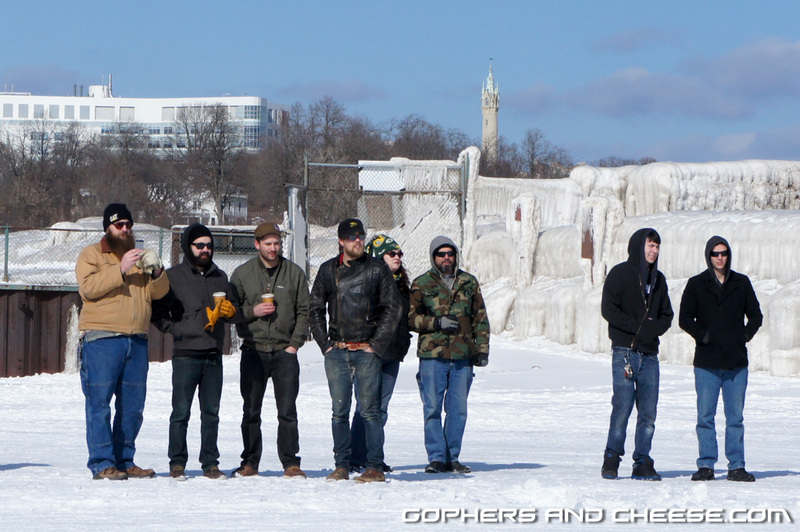 I didn't go the first year (2014) but 2015 was supposedly a lot larger than 2014 and 2016 will likely be even bigger than 2015. 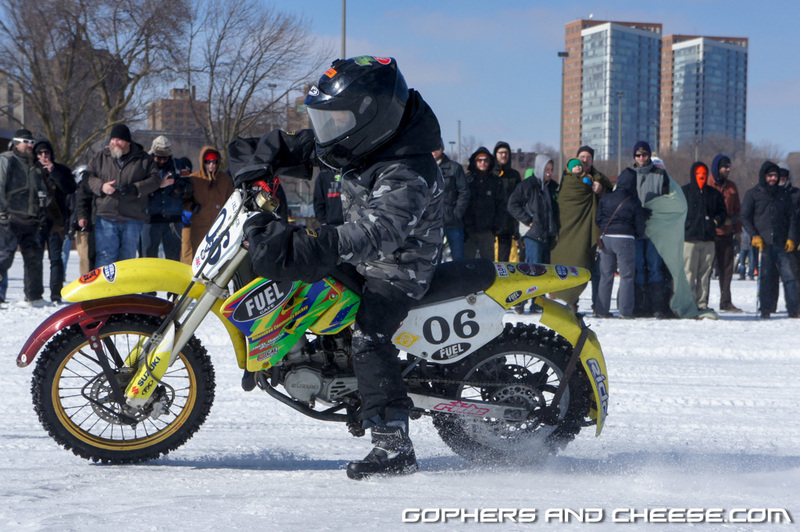 Flat Out Friday should be a great addition to the weekend. 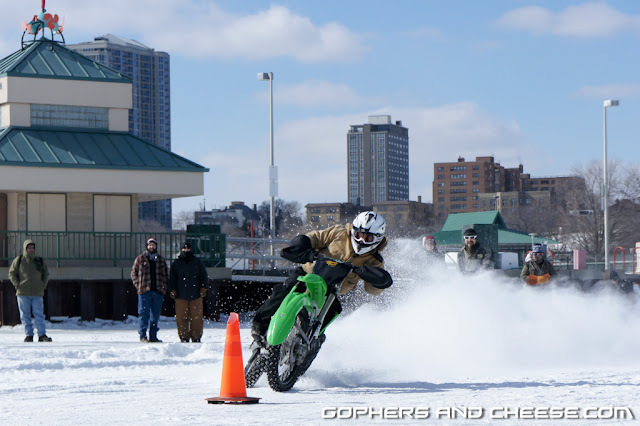 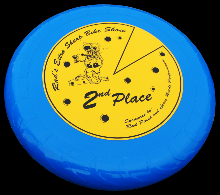 If you plan to check out the ice riding, dress really warm. Jeans and motorcycle boots on the ice are dumb. 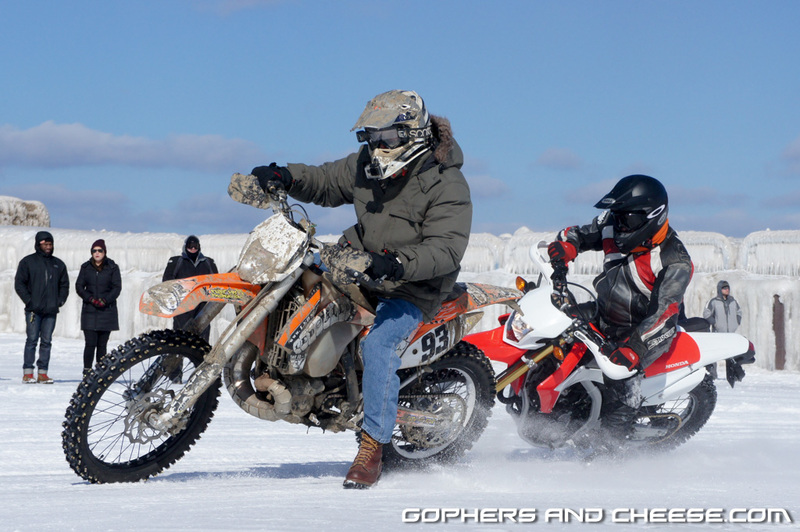 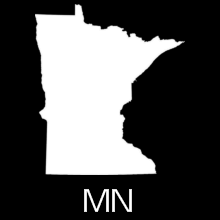 Wear proper winter boots and windproof snow/ski pants and cover up your face. 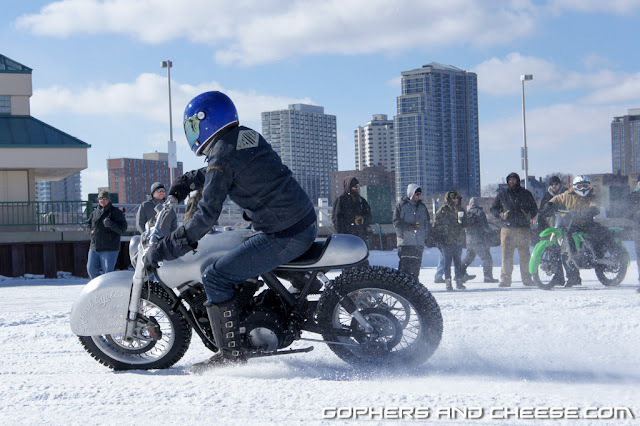 Regardless of what you choose to see and do, have fun. 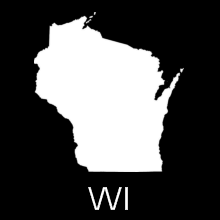 I did.